Eight people died at a Florida nursing home that lost power for several days after Hurricane Irma passed through town. The Hollywood facility overheated when it lost air conditioning during the power outage, which may have caused the deaths and led to a mass evacuation. Local authorities found patients in “varying degrees of medical distress” when they responded to the facility. Three were already deceased and five others later died at a hospital. At least another dozen received medical treatment for heat-related ailments. A recent report found that the Hollywood nursing home had a history of safety violations, including problems with its generator. Florida nursing homes have an obligation to their residents. Under Florida law, nursing homes must meet a specific standard of care, ensuring that they meet the basic needs of their seniors and maintain their quality of life. Homes are responsible for the actions of their staff and can be held liable in personal injury lawsuits, in addition to any criminal liability. Unfortunately, elder abuse and neglect is on the rise. According to the Florida Department of Children and Families, the number of verified abuse/neglect cases in Florida has risen 74 percent since 2011. The total for 2015 was 2,525. 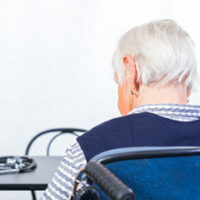 While most cases of elder abuse happen at home, there are documented examples of elder abuse and neglect that happen at nursing homes, as in the Hollywood facility. Physical abuse — Inflicting physical harm on an elder is against the law and can also lead to civil liability. Illegal physical harm can range from hitting and kicking to sexual abuse. Emotional abuse — Abuse isn’t limited to physical harm. Emotional abuse damages seniors in other ways, potentially leading to depression, anxiety and other issues. Examples include name calling and belittling the senior’s self-worth. Neglect — This is similar to physical abuse in that it often results in physical harm to the senior, but from different causes. Any time a “caregiver” deprives a senior of a basic need (like food and hygiene), that is an example of neglect. One common symptom of neglect is if the senior develops bedsores. Financial abuse — This might not be the first type of abuse that comes to mind, but it is a serious problem. Nursing home staff might steal money or property from residents, leaving them vulnerable to financial problems. Failure to meet safety standards is a type of elder abuse. The fact that the Hollywood nursing home had a history of problems with its generator could be used against it in a personal injury or wrongful death lawsuit. Injured seniors can bring personal injury lawsuits seeking compensation for their medical expenses, pain and suffering, and other damages. Family members may file wrongful death lawsuits. The injured party has the burden of proving that the home acted negligently and that a reasonable facility would have acted differently. If you or a loved one has been the victim of nursing home abuse, you might have the right to compensation for your injuries. Contact the West Palm Beach nursing home abuse attorneys at The Pendas Law Firm today for a free consultation. The Pendas Law Firm also represents clients in the Jacksonville, Fort Myers, Tampa, Miami, Orlando, Fort Lauderdale, Daytona and Bradenton areas.